I'm guest-posting today at my daughter's blog, Moments That Take My Breath Away. I wrote about six things you should never say to a grandma. Check it out, and check out Stephanie's blog for lots of great money-saving tips, and cute pictures of my youngest granddaughter! Welcome Grandma's Briefs readers! I'm the Grilled Grandma of the week, and if you've arrived after reading my article, I'd like to welcome you to supergrandkids.com. Please look around, read some articles, and comment - I love new readers and would love your feedback! I love to write about being a grandma. One of my special interests is saving money while still giving great grandkid gifts. It's a great time to be a grandma! I read an article today from slate.com about Melinda Gates, talking about the Gates Foundation's efforts to promote world health. An interesting story she tells is about trying to get moms in India to quit using mustard seed oil on their babies, which can cause infection, and instead to use sunflower seed oil, which actually helps prevent infection. Rather than just printing pamphlets, putting up signs at health clinics, or other traditional methods of persuasion, instead they made up a little song about it, and taught it to the...wait for it...grandmothers. Yep, the grandmas were the most influential members of the community, so they were the most likely to spread the word. The foundation worked with mothers in the Indian community to write a song, a jingle set to a catchy Indian tune, that explains what oil to use, where to put it, and where not to. They taught it to grandmothers, because they have the influence to spread messages in the community. “We hope it will spread to many, many villages, so it works in a culturally appropriate way, so it actually saves the lives of newborns,” Gates says. I love it! Grandmas have a huge influence here in the US too, and we shouldn't forget it. Our little ones are watching us and learning from us every time we're with them. One of our granddaughters, while helping decorate the tree the other day, put up an ornament with the New Orleans Saints symbol on it. She asked what it was, and I explained that it was from my brother who lives there. She asked, "Do you like New Orleans?" I replied, "Well, yes, I guess I do." (No offense to my beloved Chiefs.) Then, she said, "Well, since you like them, I like them too." Yes, grandmas, that's the kind of influence we have, and someday, when our grandkids are rooting for a favorite NFL team, or teaching their grandkids about the best kind of oil to use on babies, words will pop out of their mouths, and they'll wonder, "Now, where did that come from?" Yes, grandmas, it came from us. 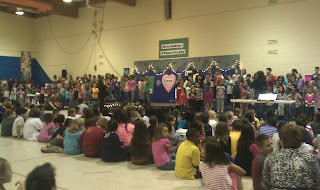 Don't you love school Christmas programs? I really do. I love the songs they sing, the rhythm instruments they play (first-graders do a great job with triangles and maracas), and the excitement for Christmas. Our 6-year-old's group sang a song about snow days, and how they can't wait for one. They also sang "Love Came Down at Christmas" and afterward, she couldn't believe it when I told her I knew that song. One of my favorites. There's just something about a school assembly, too, that makes you remember what it was like to be in elementary school, walking in single-file after your teacher, raising your hand if you needed something, sitting "criss-cross, applesauce" style, or as we used to call it, Indian-style. So much fun. Well, actually, it makes me happy to go back to work. It also reminds me of how much fun it was to get out for Christmas vacation, with the excitement of the holidays coming up. I wouldn't want to go back to elementary school, but it might almost be worth it to feel that joy again. 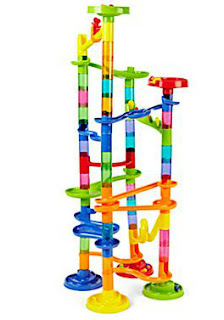 Here's the best deal I've seen on the Internet this week for a grandchild gift, the Marble Deluxe Race Set from JCPenney. 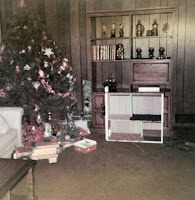 We've got a similar set that we got from Discovery Toys when our kids were little, and we play with a lot with the grandkids. Truthfully, I've played with it when there weren't any kids around - it's that fun. Price is marked down to $11.99 from $39 so this is a bargain and a half. Shipping is probably going to run around $7 to the store, but it's still a toy that any grandkid would love. In the last year or so, we've been taking the big girls to our local library branch pretty regularly, and letting them check out books. That's our branch at the left, isn't it pretty? When we first started going, they were kind of confused, because they'd been to bookstores, and knew that you kept the books you got from there. When we'd get books, and then bring them back, they'd end up kind of sad because they didn't get to keep the books. Our real breakthrough in getting them to understand how great a library was came when we started looking up books in the catalog that they might enjoy. They'd think of a particular story they'd enjoyed, and ask if there were more like them. "Hey, could we get another Lyle, Crocodile book?" or "how about Clifford the Big Red Dog?" We'd end up with a pile of books, sometimes 15 or 20, and they suddenly realized that you do have to take the books back to the library, but, and here's the thing...you can get as many as you want! They'll pick out a pile of books, and put them into their library book bag. This is just a tote bag that we designated for library books. They usually take them home to mama or daddy's, and then when it's time for them to go back, either they'll bring them with them on Sunday, or their mom or dad will run them by the library. We had a misplaced book once, but it was found pretty quickly, and returned. For some reason, they call it the library-bookstore. I think there's still some idea that we're buying the books, or at least renting them for a while. The funny thing is that this has changed their ideas about Redbox - they really can't understand why you have to pay to rent some things, like DVDs from Redbox, but not others, like books from the library. Hmm, I guess a book on capitalism is in order. Our youngest granddaughter loves to talk to us on Skype. She's 10 months old, and thinks that a computer conversation is a great way to spend time with her grandparents. Apparently her mom tried to call us on Skype the other day while we were out and about, and the baby crawled over to the computer to talk to us, after apparently recognizing the familiar Skype sound. She was disappointed we weren't there, but we got to talk a little later that day. A lot of times, our daughter will set the laptop down on the floor, or on the couch, or wherever the baby is, so that we can see what she's doing. She seems to think that we're right there, and will crawl around and show us stuff on the floor, read us a book, or just check to make sure we're watching. It's a strange feeling of being "almost somewhere else" that I just don't get with a phone. Maybe when people first started using telephones, they got that odd sensation of being two places at once, but I'm pretty used to phones, and don't think of them that way. The computer conversation, though, definitely feels more connected. I really feel in many ways like I'm sitting down with the baby, watching her play with her favorite toys, and letting her show us her books. It's a wonderful feeling of connection, and if you aren't Skyping now, I'd highly recommend it. We're thinking she'll be Skyping on her own by the time she's three, calling us up when her mama's in the shower. "Hi, Grandma and Papa, I just wanted to tell you what I've been doing!" I can't wait! One of our favorite activities with our now 6-year-old granddaughter is making menus. She loves to plan ahead for special occasions, and last year she made a great Thanksgiving menu, which she gave out to everyone who came to dinner. This year, we've made a new one, and printed up copies again. There was some discussion this year about whether brisket (or brisket-chicken, as it's called around our house) and tacos were appropriate for Thanksgiving dinner. They're tasty, of course, but I think adding on a brisket-chicken to this dinner might be a bit much. Letting grandkids plan things like menus is so good for them. Making a plan, writing it down, and then following it, are all helpful for giving kids the tools they need to learn self-control. It's so nice for a young one who doesn't have a lot of control of most of their life to be able to make a plan for something important, like a holiday meal. Mostly, though, it's just fun. When we've got some more time and the girls are a bit older, we'll probably encourage them to play "restaurant" and make the whole meal for us, menu and all. We still have an old menu from when our kids did this. The menus were always interesting and varied, although I don't think we ever had turkey, brisket, and tacos at the same meal. 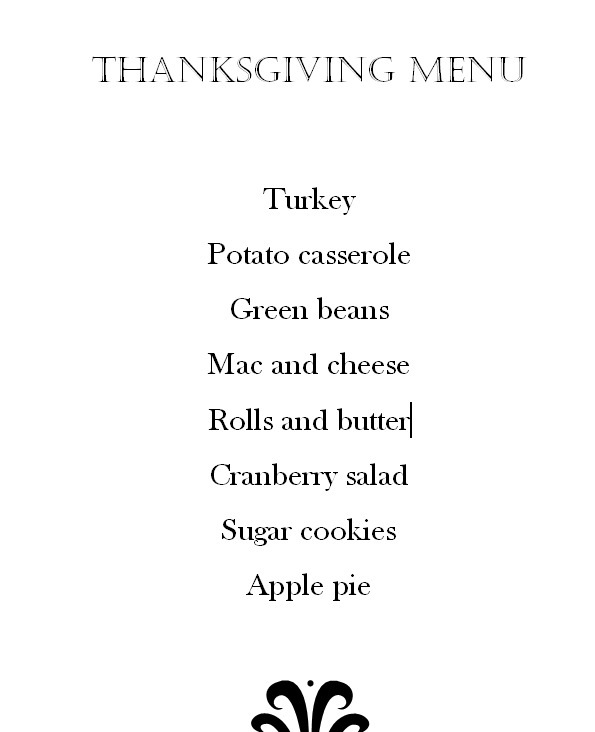 I'd encourage you to try letting your grandkids in on the planning of holiday meals. It's so much fun for them, and for you! That great Melissa and Doug discount offer got me looking around their site for a fun grandkid gift from them. We've bought tons of Melissa and Doug items over the years, and they never fail to be favorites. 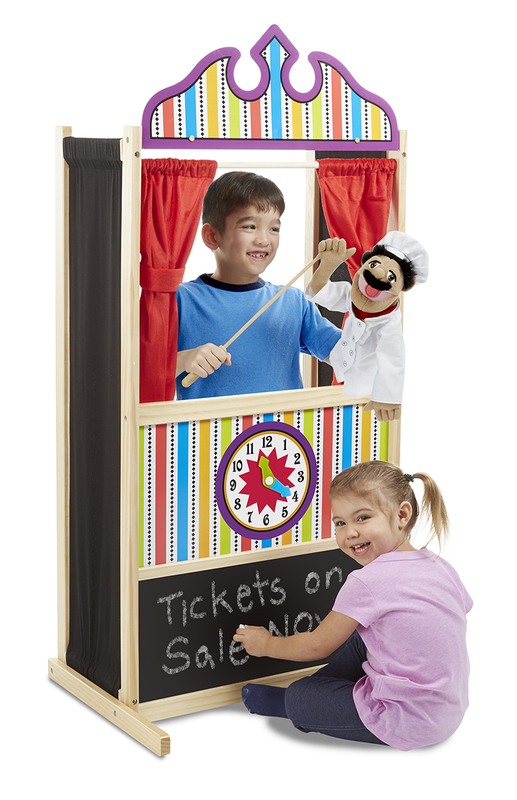 When our kids were growing up, they would often move a piece of furniture and put on a puppet show for us. They had a variety of stuffed animal-type puppets, but if they didn't have a puppet to fill the role, they'd just use a regular stuffed animal. Puppets are so much fun for imaginary play. Here's a good article from grandparents.com (where, I understand, one of the columnists is actually a founder of Melissa and Doug!) about the Power of Puppets. The author mentions that putting on a puppet show is like telling a story, so maybe puppetry promotes fiction writing. At any rate, I'll let you know if we get the puppet theatre, and try to get some good pictures of the kids putting on a puppet show. We're a pretty musical family here at supergrandkids.com, so we're always looking for new ways for little ones to help make music. Today, I saw a link for a little piano on sale. I've been teaching the older two some piano techniques, and they have a little keyboard they use, so here's my two cents on buying keyboards for kids: Make sure it has at least 61 keys! Those little keyboards, like the one in the link above, are just not going to give a kid anything in terms of learning to play. If you really want to get something entry level for them to begin to learn, try something like the Yamaha Personal Keyboard shown at left. Durability: Good - they've been tossed in drawers, dragged around on the floor, and played quite a bit. Batteries are still going strong, and the toys still work great. Fun Factor: Great if they're music lovers. Still being played with after almost a year! Wow Factor: Well, they took a while for the girls to figure out, so wow factor may not have been as good as other toys. Support Me In My Old Age Factor: Well, Great-Grandma actually bought them, and she would admit that she's well into her old age now (sorry, Great-Grandma!). Yeah, I think this was a good buy for her, and a good gift. The girls have an interest in the violin now, or maybe the fiddle, and she gets to watch them playing. Susan Adcox at grandparents.about.com posted an article I sent her about why I blog and advice for other grandparent blogs. Check it out! Susan at grandparents.about.com, has an interesting article today about the little "digital natives" that are our grandkids. It makes me wonder about the grandparents today, and the soon-to-be grandparents of tomorrow. I've got a number of friends who, ten years ago, were definitely not computer users, struggled with e-mail, and could not attach a photo to an e-mail if they had to. The advent of Facebook has brought a lot of them around in that area, but many are still pretty uncomfortable with anything beyond a picture upload or text message. We actually run a computer networking company, and were extreme early adopters of technology (somewhere there's a video of our now 25-year-old son playing an online game while still in diapers). Now, I'm a Web programmer, and actually have been working in the last couple of years on a Web site specifically created for older users (hunter education instructors). It's fun to explore how to set up a site for users who aren't too comfortable with the Internet in general, and challenging as well. I can guarantee that if it's not user-friendly, they won't use it! I do think we're going to see lots more technology-savvy grandparents in the next ten years, and they'll start shopping online, reviewing products online, and even communicating online lots more. I really can't imagine a technology better suited to grandkids and their grandparents right now than Skype, and I would expect to see more easy-to-use communication tools like this for grandparents springing up in the next decade. One of the reasons I created supergrandkids.com was to provide some grandparent-specific reviews for online purchasing. I love to read reviews of products before I buy them, but as a grandparent, I'm looking for different info than a parent. I hope to provide more of these reviews as time goes along, and will be asking grandparent friends to help out with some reviews as well. I think the online future for grandparents is only going to grow, and I'd encourage everyone to push themselves a bit in their knowledge level, or just give something new a try. Might even help the old brain cells to stay active a while longer! I've got a new banner ad running on the right side of this page, and wanted to let you all know about one of the best ways we've found to teach our grandkids about compassion, giving, and the rest of the world. We're sponsors to Arif, a fifth-grader from India, through Compassion International. The girls have really enjoyed writing to him, and reading the letters he writes back. 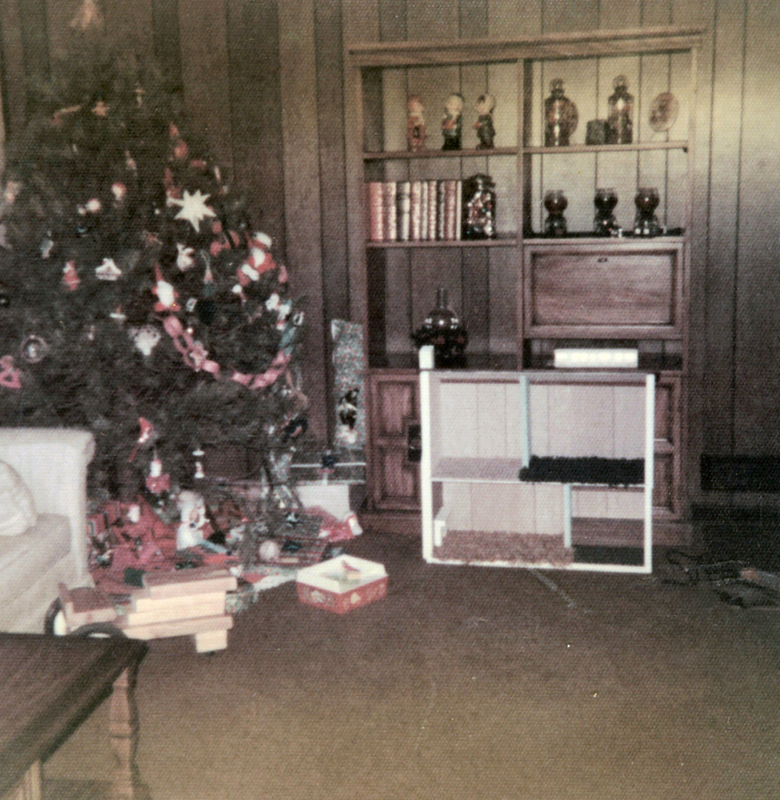 I think it was a bit of a shock when he said he lived in a cinder-block house, and he was very, very appreciative of clothes for Christmas (!). They know that the money we give helps to feed him and provides for his schooling, but I don't think they know yet what a difference those things can make for a child. As Christians, we particularly appreciate Compassion's emphasis on Jesus. If you've ever thought about sponsoring a child, I would highly recommend Compassion. We spent the weekend with our daughter, son-in-law, and all three of the granddaughters, while we were celebrating our daughter's birthday. Some of the big girls (me, my daughter, and the 6-year-old) went shopping at the big mall on Saturday, and really had a great time. This was really the first time that our oldest granddaughter had enjoyed shopping, at least with us. She's 6-1/2 now, but I sure didn't think she was going to be interested in shopping for clothes with her aunt and grandma. However, she surprised us both, and ended up getting a pair of boots that are just amazing. Something about them just struck her as cool, and she ended up dancing around for us the rest of the day, just showing off her grown-up shoes. I really love buying toys for the grandkids, but find myself wondering, is it too soon to think about clothes for a little girl for a gift? I remember thinking clothes and shoes were duds as gifts, but she mentioned several times how much she would love a red wool coat for Christmas. You can bet it wouldn't be her only present, but I'm still back and forth on this one. I'll keep you posted on what I decide. Wow, hard to believe it's already time to start making the Thanksgiving menu and ordering the Christmas toys! Actually, I've already been working on that throughout the year, but have a lot of holes to fill. I usually just pick up small things throughout the year as I see them, and occasionally big gifts too if I see the deals. I've found, though, that the very best deals do come right before Christmas. This article from DealNews gives some data to support this thesis, and I'd truly recommend waiting until just before Christmas to get the really good stuff. 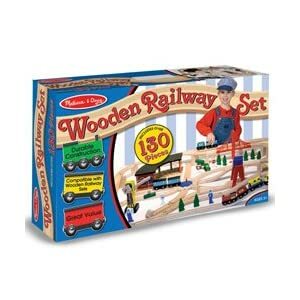 I think the best deal I've gotten was a 32-piece wooden train set that works with the Thomas The Train cars. Got it for $9.99, including shipping, from Graveyard Mall, one of those closeout Internet sites that occasionally has some great deals. I believe we ordered it right around a week and a half before Christmas, but it came in plenty of time, and it's been a hit for quite a while. It's worth waiting for those deals, and starting about November 1, I'll be monitoring the deal sites (slickdeals.net, dealnews.com, etc.) for the truly good deals. One word of caution, you'll need to plan on moving fast when you see a deal. They often sell out quickly, so be ready to buy when the deal comes along. If you've got a younger elementary age child who loves to read, our 6-year-old has a recommendation for her new favorite book series, The Puppy Place. These books are so enjoyable, she can hardly put them down, and has to have at least two a week to read! Luckily, we have a library nearby, and can put them on hold. If you're looking for a kid gift for a girl or a boy who loves dogs, these books just might fill the bill! Whew! It was a crazy weekend at the supergrandkids household, with a hunter education class being taught by Papa, a wedding to attend, three services of church for me to play for, and a couple of little sweeties to spend the weekend with us! We had a wonderful time though, and it made me think about chaos and quiet. When our girls are with us, whether it's the baby, or the two older girls, our house is crazy. We like to do crafts, bake, make elaborate pretend villages, and read books by the hour. 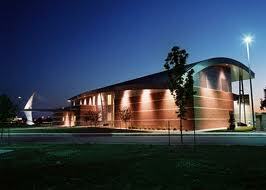 We also love to go to the library, the zoo, the park, and so many other places. Life's a whirlwind, and our house reflects it when the girls leave. At that point, things get really quiet again, we pick up the house, the toys get put away, and our lives go back to a more orderly schedule. It's a lot different than being a parent, when you got so caught up in the chaos that after a while, you don't even notice it. When you're a grandparent, you truly embrace the tornado, and though it's tiring, it's so rewarding. I think, too, that the quiet times make the crazy times better. Grandparenting reminds me a lot of that old game, freeze tag, where you run and run until someone shouts, "Freeze!" Then, you stop and wait, maybe catch your breath. I'm finding, though, that in the midst of the chaos, I'd like to freeze the craziness for just a bit and just take it all in. These are wonderful times, and they'll be over too soon. This isn't a grandkid post per se, but even us grandparents have to get stuff done, so that we can have enough money to buy those grandkid gifts we love. Don't try to do the hardest thing first. Ease your way into your day with some less than brainy work if you can. I've found this to be very helpful in getting the old brain up and running - start with something basic and menial and then work up to harder stuff. Help someone else out. I subscribe to a Web Designers board where I can sometimes provide some insight into an issue that someone else has been struggling with. I can't say why, but helping someone else is extremely invigorating! Put on some great music. This is a basic one, but I've found that the right music can really change my mindset a lot. Lately, I've been enjoying Shalom Jerusalem by Paul Wilbur - energizing and nice. Take the hardest problems and just put them in front of your eyes for a while. This is an amazing fix that I've found works more often than I would have thought. If I'm really stuck on a problem and really, really don't want to deal with it, I'll just put the code for it on one of my screens, and look at it from time to time while I'm doing other work. For some reason, this gets the problem into the back of my mind, and I'll come up with a fix at an odd moment. Find something to succeed at. If you've been struggling with one particular issue, put it down, and succeed at another one. Another mystery, but success seems to engender success, and getting one thing right seems to help with the others. Probably the most important one I've found though is to just get started. Set a timer for 20 or 25 minutes (the Pomodoro method) and tell yourself you'll only work for that amount of time. It's amazing what you can do in that amount of time, and how much your whole outlook can change. 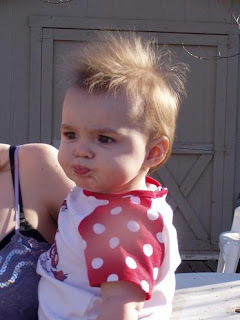 Our oldest granddaughter had what we called "the crazy hair" when she was a baby. It just stuck up and was so adorable that people had to touch it. Now it looks like our youngest one is getting the crazy hair too. Absolutely cute. And it just demands to be touched. As it turns out, the crazy hair leads to the gorgeous hair, as seen in our now 6-year-old, so our little one has hope. Jacob Maslow at billeater.com has some good advice for buying toys for the long haul. "As parents, grandparents and caregivers, we can help the children in our lives develop emotionally, socially and academically by putting thought and care into the playthings that we provide them. Simple toys like blocks, dolls and wooden vehicles are timeless classics because they allow children the freedom to use their imagination instead of having the storyline dictated to them by the toy." Our two older granddaughters and I built a town the other day out of Lincoln Logs, Jenga blocks (which by the way are a really terrific block, as well as a fun game), a farm set, and various rubber and plastic animals. Buying toys that encourage the imagination, like blocks and building sets, are a terrific way to encourage imaginative play for kids who might otherwise just be interested in computer games. I think one of the ways we as grandparents can influence our grandkids is by teaching them the kind of creative play we did as kids. I love the Toy Story movies for this as well - they show kids just using their imagination and thinking up new worlds for their toys to play in. It was Papa's birthday this past week, and as Lynn and Nicole were discussing his birthday while we were driving to church a couple weeks ago, Papa said that he'd been thinking, and he thought that he wasn't really using his birthday anymore, so he'd like to give it away to the three little girls he loves. Didn't take them long to agree that this sounded good, but they weren't quite sure what it entailed. We decided that we'd make a birthday cake, and get presents for "Happy Papa's Birthday" day. Elaine got hers via Amazon last week, and is loving her soft blocks. They're just right for an almost 9-month-old who loves to put things in her mouth. Lynn and Nicole got theirs yesterday, and were pretty surprised to get presents unexpectedly. 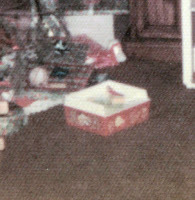 Lynn is 6 and got a Breyer horse and rider set. I used to love Breyer horses when I was a kid, and she's really into a horse phase too. Something about being able to saddle the horse up, and have the girl ride the horse around (along with some trick dog riding, which I'll get to in a second). At any rate, it was a success too. The real success, though, was the gift of "cats and dogs" for Nicole. We've got an inexpensive set of small cats and dogs that all the grandkids so far have loved, but she especially plays with the cats and dogs whenever she comes over. After much looking, I found a couple of "tubes of animals" that were pretty close to this set, and added a rubbermaid container from Walmart to hold them. She opened them up, and just lit up. Her eyes got wide, and she said, "Papa, you got me cats and dogs!" A little later, she added, "Papa, I like you!" High praise from a 4-year-old. Later on, one of the dogs became "Tricky, the Rodeo Dog," who can ride a horse's back for all of about three seconds. We've decided the horse doesn't really care for a rodeo dog rider. Here's the link to the cats and dogs, which are an inexpensive way to guarantee a long-remembered "Papa's birthday." Here's a gift I can't resist - it's a 17-DVD set of Scholastic stories, including Good Night Moon, Is Your Mama a Llama, and Good Night Gorilla. Great reviews, and the price is unbeatable, at least today, September 23. This is going to be a great set for long van trips to see our Kansas City daughter and her family. For most of us, our kids, and sometimes even our grandkids, are outpacing us, technology-wise. For that little crawler or toddler that you love, the one who can already manipulate their parents' iPad, we would recommend the Bright Starts Pretty in Pink Click and Giggle Remote. Pretty darned enjoyable straight out of the box, and she seems to be still finding it interesting. It's got a good chewing area (important for a teething little one), plus buttons that make a lot of different noises. This seems like a toy that will have pretty good lasting power, as even the bigger kids seem to enjoy toys that make noise when you press their buttons. What is it about electronic noises that make kids so happy? Durability: Good - it hasn't fallen apart in the couple of weeks she's had it and these toys seem to be fun for bigger kids too. Fun Factor: Good - she's played with it quite a bit. It's not a total showstopper, but seems pretty interesting to her still. Wow Factor: Not up there with a pony, but good for a little one. 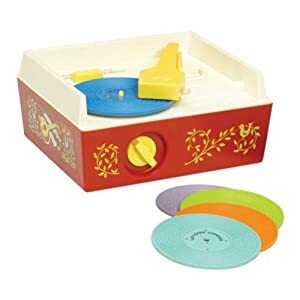 Support Me In My Old Age Factor: Probably not the one toy they'll remember forever as the gift that was that most special birthday or Christmas moment, but a good choice for a "just because" gift, or filler Christmas or birthday gift. Welcome to grandparenting. If you're like us, you didn't really expect to be here quite yet, and you may be feeling a little uneasy. What, me, a grandparent? Once you get past the idea of it, though, I think you'll find that grandparenting is way better than parenting. Way. Here are some things I wish I'd known, going in. You will worry just as much about the grandchild as you did with your kids, except with grandkids, you get the added bonus of little to no control. You will become that annoying person who hauls out pictures of grandchildren and forces people to exclaim over how cute they are. This is a shocker, but we all do it. It's just an instinct, like breathing for us grandparents. Look at my grandkid, look! You may also become that truly frustrating grandparent who gives too many gifts at Christmas. Hey, we're more organized than we were back when we were just parents, so we may see some great toy in July that looks good, another one in September, and, yes, another five or ten before Christmas morning. I'm confessing, this is me. Sorry, kids, but I can't help myself. You may start wearing white socks with sandals, or run around with a pair of reading glasses on top of your head. Sorry, this is probably not due to being a grandparent. I don't know, they happened about the same time to me, but I can't blame the grandkids. The reading glasses do help, though, when you're called on for an impromptu "Hop on Pop" reading. You will want to see that grandchild at least once a day, although most of us don't get this privilege. Skype will become your favorite piece of software. You will love that little child just as much as you love your own kids. Hard to believe, I know, but it's true. All three of our grandkids are just as sweet as can be, and so full of personality. That instant love you felt for your kid? It's there just as strongly for your grandkid. Those people who say grandparenting is so much better than parenting? They're not lying. Welcome to the best part of having kids...grandkids.